No matter if you’re getting a flashlight for your tactical missions, or simply because you really have to have one around, there are things to consider when making your final choice. It sure depends a lot on how much you’re gonna use the flashlight or how much your life is going to depend on it (you know a good tactical light may win you some time when your life is endangered and it can really turn into a self-defense tool). No matter the situation though, a penny saved is a penny earned, but it sure counts a lot how much you’re investing in your flashlight, so we’ll try to suggest the best bangs for your buck. Apart from the build, the light it gives or the durability is has, how much it’s costing you to use the flashlight is also important. Forget getting a LED flashlight that uses AA batteries as they’re not powerful enough, nor as durable as you’d want them. Keep also in mind that AA batteries aren’t that compact and if you want them for your EDC lights, they’re clearly not the best choice. AA flashlights will generally last longer than AAA flashlights. What we really like about the AA batteries is their availability, the fact it’s so easy to find them pretty much in every little store, either it’s a grocery store or the gas station on the highway. What’s even better these days is that you may get rechargeable AA batteries, which helps you save some money in the long run, without sacrificing performance. The AA batteries are quite slim and are sure lightweight, which makes them fit for so many types of flashlights. You may easily depend on a single battery flashlight and switch to a stronger model that runs on eight cells. Even though AA batteries aren’t as powerful as a CR123 battery (without being bigger), they are still a reliable option, especially if you’re on a fixed budget. The reality you may get them pretty much at every corner in the street sure makes out for the lack of power, which is O.K. in many situations. 1. 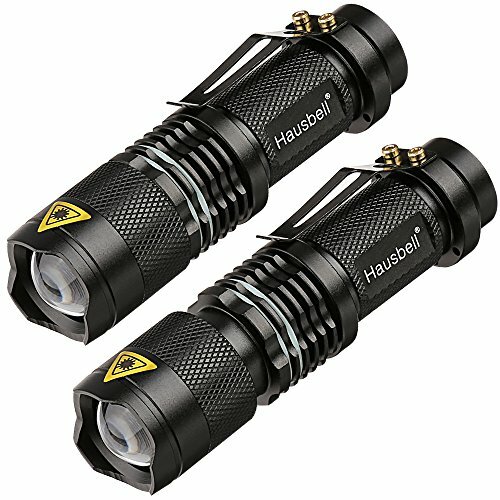 Don’t let the size nor the price of the Hausbell 7W Ultra Bright Mini LED Flashlight Tactical Flashlight (2 Pack) fool you. Even though it’s small and cheap, the flashlight gives good light and it’s quite dependable in emergencies. Additionally, the flashlight stands out with a tough build as the body is made with aluminum alloy. The flashlight doesn’t include any plastic parts, which explains its durability and ability to take a few drops. It has a skid-proof design and it’s water resistant. You may safely take it when hiking, camping or cycling. 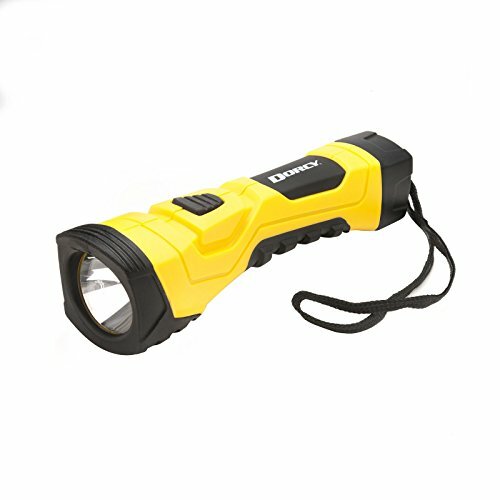 As for the operating modes, the flashlight gives a maximum 300 Lumens and has 3 operating modes: bright/ dim and strobe. You sure find helpful the zoom feature. The adjustable focus range is good, giving the flashlight more versatility. The flashlight is small, lightweight and compact, so it’s easy to store/carry it around. Its magnetic back is a great detail as it is the little lanyard. You need one AA battery or a 14500 rechargeable Li-Io battery for the flashlight. solid and well made, the flashlight is great for many purposes, including signaling. For the buck you pay though, you get a reliable, small and pretty bright flashlight that gets you out of trouble when in need. 2. You don’t have to be a rocket scientist to get the popularity of the Tactical V1-PRO Flashlight – The Original 300 Lumen Ultra Bright, LED Mini 3 Mode Flashlight. The flashlight isn’t just small, compact and bright, but it’s also cheap and dependable in so many various situations. The flashlight is small, but it may give 300 Lumens powerful LED, which is quite bright in the darkest night. The light is adjustable and you may use one of the three modes according to a situation. The flashlight has high/low and strobe mode give versatility to the flashlight. The focus is good and the light is bright. 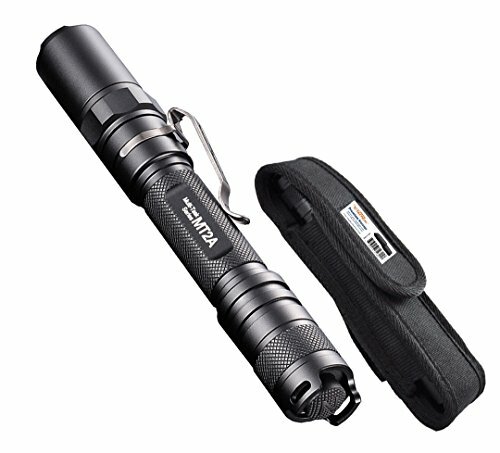 Despite its small size, the flashlight has a rugged build, taking a few falls and intense use. You may take it outdoors when camping or hiking. It’s water resistant so you don’t have to worry on a rainy day. The light is bright even though the flashlight only uses one AA battery. In addition, if you ran out of AA batteries, you may also use a 14500 rechargeable battery. The flashlight clips perfectly inside your pocket. The clipping is safe and secure, giving you fast access to the flashlight when in need. it’s lightweight so you may forget you have it on you. Well-made and durable, the flashlight is a great choice that comes with a great price. All in all, for the compact size and amazing light, we’d say the flashlight really is a great bang for your buck. 3. Even though it may not take a drop, you’d want to have the Dorcy 41-4750 190-Lumen High Flux LED Cyber Light Flashlight with Alkaline Batteries in your car as it’s not only bright, but also an option to rely on when …bad things happen. The flashlight gives a 190 lumens light and provides 250M beam of light. The high flux LED bulb is bright and the light travels pretty far. The True Spot Reflector technology gives a high beam distance, for more visibility when out in the field. We appreciate the tough construction of the flashlight that manufacture claims to take a 10-feet drop with no damages. We bag to differ though and we’d want to stay on the safe side, avoid dropping it. The nylon wrist lanyard makes the flashlight easier to carry and to use when on the move. The rubber grip ensures a steady hold, whereas the rubber-booted push button switch makes the use a brease.The yellow color sure makes the flashlight easy to spot anytime, everywhere. You need four AA batteries to run the flashlight. The flashlight is lightweight, despite its size and very easy to use. For the portability, bright light and reliability, the flashlight is a great tool to have in your car. 4. 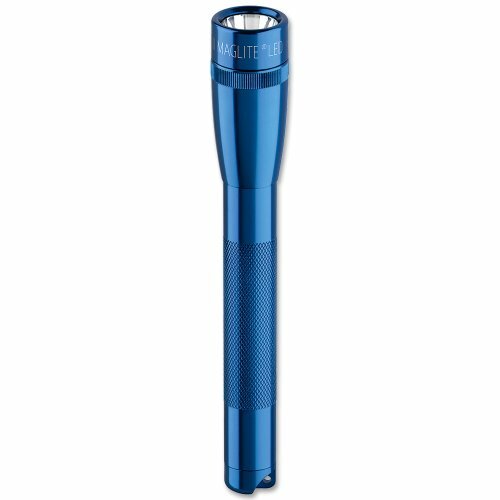 If you’re a sucker for the iconic little things, you sure can’t go wrong with a flashlight as the Maglite Mini Mag Led Pro Blue. The flashlight has the popular look of the original Mini Maglite 2 AA flashlight that sends you back in time a quarter-century ago. It has a simple, yet efficient and reliable design that makes it so useful in so many various situations. What makes this model from the first original one is the LED, which gives bright light, for a long time. The light is bright and reaches far, having a 140M beam distance. It runs on two AA batteries and has a 2.5-hour run time. The slim profile makes the flashlight so easy to carry and store. It fits anywhere and it’s so lightweight that you barely feel you have it on you. The knurled design gives it a good, sturdy grip at all time. The flashlight is compact and very well made here in the USA. It comes with a belt holster, for more portability. For the nice design, good build and bright light, you sure don’t make a poor choice by getting the flashlight. The more you’re willing to pay for your flashlight, the more you should expect from it when it comes to performance or good build. 5. The compact design and the very small of the Fenix E12 Flashlight aren’t its main strengths, but its bright light, considering its size is. The small flashlight impresses with the bright beam that is highly adjustable, fitting so many various situations. 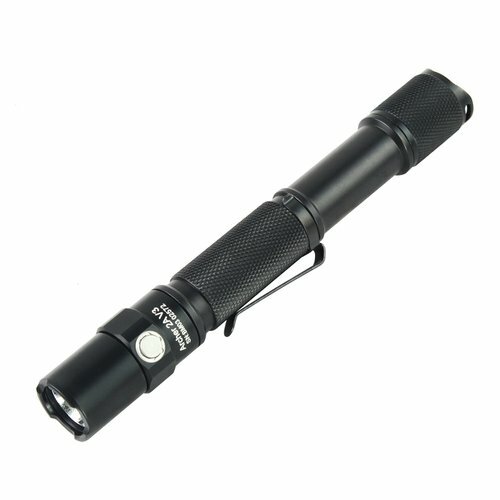 The solid build matches the performance and the flashlight has a high-strength aluminum alloy case. It’s a lightweight, yet durable and tough little flashlight. As for the light, it gives maximum 130-lumen output when using just one AA battery. The operating modes are easy to go through so you may use the right one for specific situations. Let’s not forget to mention the waterproofness of the flashlight that has an IPX-8 waterproof grade. You may submerse it for 30 minutes under 2 meters. It’s well rounded so it’s comfortable to wear it. The lanyard increases its portability, whereas the knurled textured ensures a sturdy grip every time. No matter the minor issues, for the great power that comes in such a small package, we’d say to take a leap of faith and try it when in need. 6. It’s the case of the ThruNite Archer 2A V3 Cool White 500 Lumens AA LED Flashlight that sure doesn’t disappoint when it comes to long lasting construction or great light it gives. 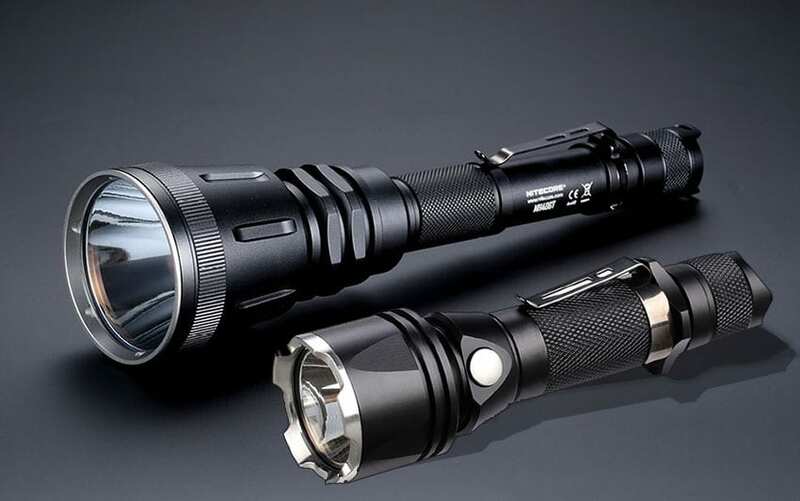 The flashlight is made with aerospace grade aluminum body and has military grade Type III hard-anodized finish. The anti-abrasive finish makes it more durable and able to take the heavy use. It’s impact resistant and waterproof to IPX-8 standard. When it comes to the operating modes, we notice the 5 brightness settings: firefly, low, medium, high and the hidden strobe. The flashlight is easy to use and getting through the modes isn’t complicated at all. The light always turn on in the last mode you used, except for the strobe. The list of good things isn’t short and we also have to mention the upright stand on rear end ability, the tail switch and the side button to control the on/off mode selection. The body has a nice texture that gives a sturdy grip. The settings are well spaced and the flashlight looks quite nice. The flashlight is compact and has a slim profile, making a great choice for EDC or emergency as well. For the durable build and all the smart features, the flashlight still stands like a great addition to your EDC equipment. 7. Bright and dependable, the Nitecore MT2A 345 Lumens LED Flashlight w/ Bonus Premium Holster is a great choice for many situations. The flashlight provides 345 lumen LED light as it comes with Cree XP-G2 R5 LED and its beam travels far. The focused beam goes up to 166 yards. The light is adjustable and you may choose one of the three operating modes, relying on the strobe or the SOS mode in case of emergencies. The flashlight presents also memory functions and reverse polarity protection. The ultra-clear mineral glass has anti-reflective coating, giving a better light. 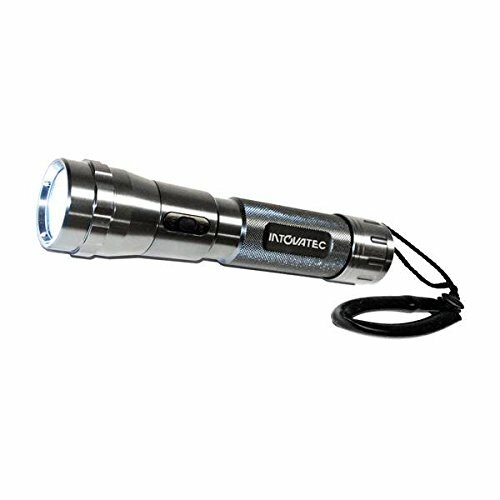 The anti-rolling design and the aero grade aluminum alloy body create a flashlight that is lightweight and easy to carry around. The two-way anti-rolling clip is easy to detach, making the flashlight more portable and versatile. The Lumen tactical premium top cover double loop holster is handy in many situations, protecting the flashlight and expanding its lifespan. Let’s not forget the tough build, which makes the flashlight able to take impact from 1.5m. it’s IPX 8 waterproof graded, which makes safe to use when submersed under water as well. 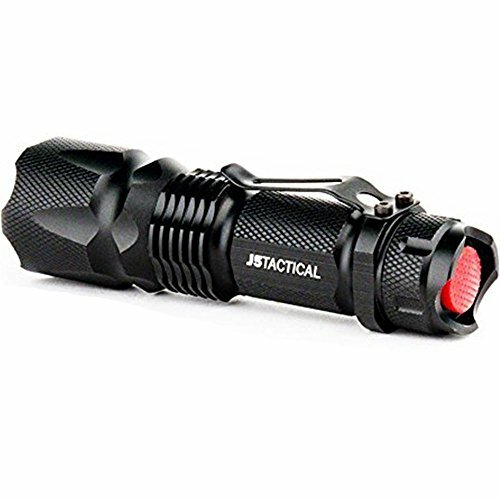 The flashlight is easy to use and the rhombic knurling gives a sturdier grip. Bright and powerful, the flashlight has a durability feel to it. it’s easy to grab and to use, fitting nice and comfortable in your hand. All things considered, put your money at stake and give this one a go. It’s a flashlight that’s even good for policemen and other security professionals. You’re not gonna regret it for sure. 8. 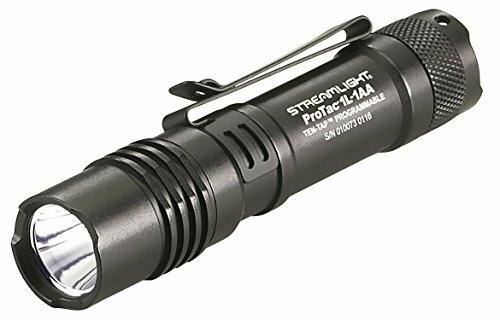 If you always like to play it on the safe side, then you shouldn’t give a second thought and simply get the Streamlight 88061 ProTac 1L-1AA 350 Lumen Professional Tactical Flashlight. The flashlight is one popular option out there and there are so many reasons why. The small size, the bright light, the operating modes are few to begin with. On the high lumen mode, you can light up your trails up to 350 lumens. You may set the right operating mode, according to your needs: high/strobe/low, high only or low/high. The versatility of the flashlight doesn’t stop here and you may use AA alkaline, AA Li or CR123a battery as well. You may carry the flashlight is many ways as the pocket clip is easy to remove and the nylon holster protects it for durability. The flashlight also impresses with its build and the body is made with anodized aluminum. It’s tough, resistant to fall, but also lightweight for easy carry. The boro float glass lens is also impact –resistant, taking the high temperature as well. The AR coating expands its lifespans. You may even submerse the flashlight to 1 meter for 30 minutes, as it is IPX7 waterproof rated. It can handle drops from 2-meters also. You don’t need to worry much about accidental operations as the flashlight features an anti-roll face cap. The construction of the flashlight has a durability feel and the flashlight may be the last piece of your tactical equipment. Regardless, for the amazing build and reliability, the flashlight is a safe choice for many. 9. If you’re a dedicated diver, you sure want to see things underwater. The Tovatec-Innovative Scuba Flashlight is a great companion to take when diving as it gives very bright light, which is the most important feature on a flashlight like this. Not only the flashlight gives you 500 lumens light, but also a 14-beam angle degree. The build is amazing and you may take the flashlight as deep as 400 ft. The flashlight is strong and has a rugged build and the beam is concentrated. It’s easy to operate it thanks to its magnetic slide switch. 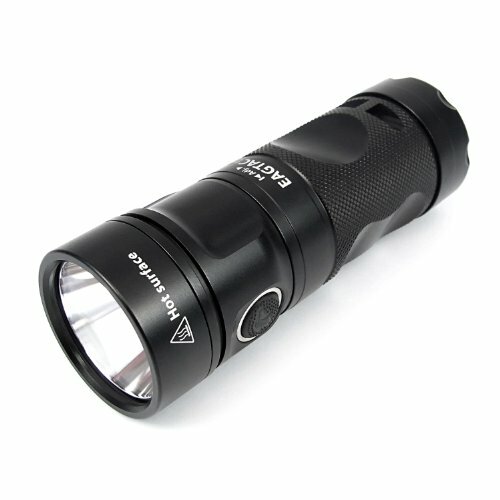 The aluminum body takes the intense use and makes the flashlight long lasting. The waterproof design is impressive. The flashlight doesn’t get hot and has a great size and build. It’s very easy to use and has a durability feel. No matter the minor issues, we still like the flashlight for the light bright and impressive performance under water. 10. Some say that when it comes to power and build, the chances are slim for anyone to find a better choice than the Eagletac GX25A3 XM-L2 LED Flashlight. 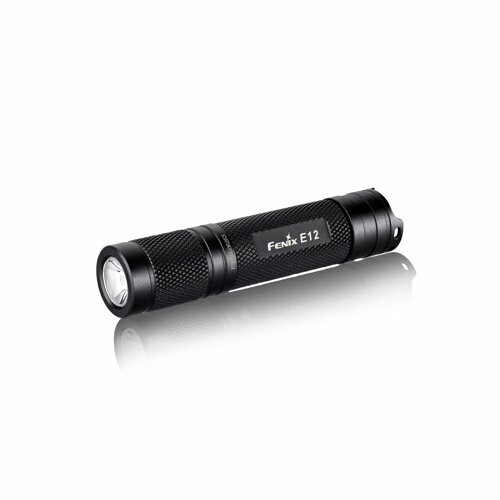 The flashlight features a white Cree XM-L2 U2 LED that gives 1116 Lumens light. The light travels far, up to 311 yards. The light is bright and you may use various light levels. The versatility of the flashlight is something to note as it runs not only on AA batteries, but also on other types. The flashlight has a great design and the battery compartment is durable, protecting the batteries. The compact design make it easy to store and carry. It stands on its own and has a very good and sturdy grip. It has a rugged build and it has an IPX-8 waterproof grade. For the extreme use don’t hesitate to try the flashlight that really gives extreme output. It goes without saying though that, for the light bright and amazing build, the flashlight is a great investment of your money. If you’re into tactical and carry weapons, check out our AR flashlight reviews.